Each year, Business High Point - Chamber of Commerce hosts the Women's Business Luncheon to honor local businesswomen and bestow one especially deserving woman the prestigious High Point Regional Hospital Business Woman of the Year award. The luncheon will feature guest speaker Denise Ryan, celebrity emcee Cindy Farmer of Fox 8 News, a live performance of spoken word by three Penn Griffin School for the Arts students and LOTS of door prizes courtesy of our fabulous members! The fine line between being effective and being perceived as a witch is one that women must contend with. 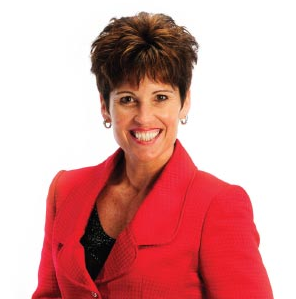 Denise’s talk is designed to help you be effective and get what you want. You’ll learn power tactics that work for women, as well as how to be perceived as powerful when you aren’t feeling very confident. Stop waiting to get what you want and start making it happen! Grab your friends, family and co-workers to join us for this great event! Doors open at 11AM. Thank you to all who submitted a nomination for the 2018 Businesswoman of the Year award, presented by High Point Regional Health! Nominations are now closed. We look forward to awarding the winner at this year's Luncheon!